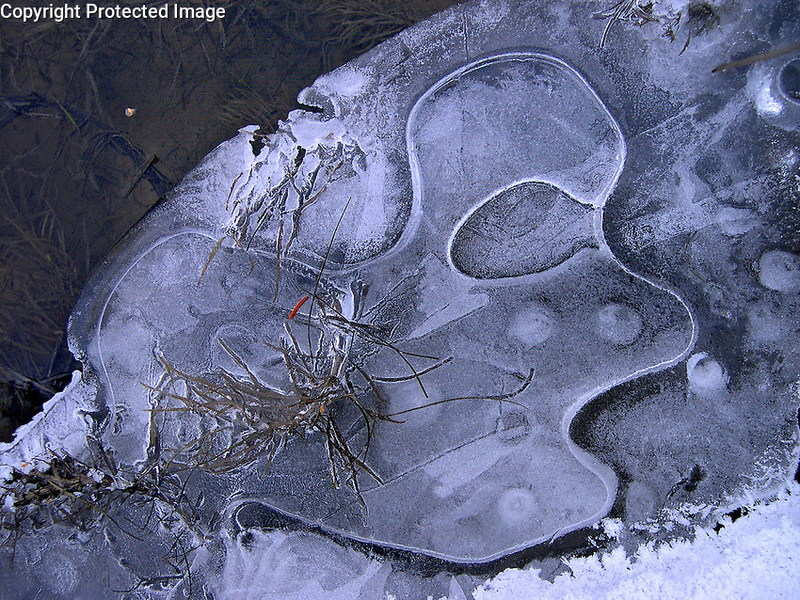 Observe ice, water, and the glyphs they leave on the Alaska landscape. Liquid, gas, or solid, transient or timeless, water animates more than the food chain. In its downstream coursings water’s movements sharpen the eye. Its transparency burnishes all it touches, reflecting what it sees. Like a mirror, water adopts colors and textures of the sky, trees, and surfaces it crosses. Water drives weather, moves mountains, feeds crops, and provides cultural and commercial access. When it’s healthy and plentiful, the biosphere and its communities prosper. For those who pay attention, it fuels imaginations as it lubricates the poet’s voice. Water’s manifold capacity, along with evidence of climate change, elevates its central role in our lives. A project cataloging its aesthetic features involves a 70-square-mile boreal forest watershed. Southwest of Fairbanks, the area is centered on Ester Dome (elev. 2,400 ft.), an upland prominence, and part of the Yukon-Tanana Terrane. Ester Dome’s watershed is 150 miles south of the Arctic Circle. It is not uncommon to record minus 40 F in January and 95 F in July. The region is semiarid, with about 10 inches of rain per year. Annual snowfall totals 50-70 inches. Tracking creeks across seasons, from riffle to torrent to frozen cataract, presents discoveries reflecting their origins. Wild and disorderly, pregnant with complexity and emotion. Isolated in the camera, a transect yields images thick with metaphor, ambiguity and humor. 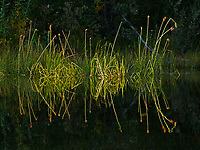 Discovering significance in the ordinary integrates awareness and expands gratitude, a synthesis of wordless recognition. It uncoils visual experience, confirming perception feeds reciprocating circuits, heart, and eyes.